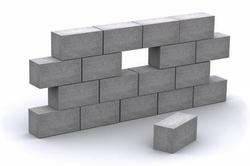 These many attributes propelled us to present Eco Green Autoclaved Aerated Concrete Blocks � An eco-friendly, cost-effective and safe brick solution which preserves the harmony of the nature and save your project form heavy construction cost. Truly it proves to be a solid option to traditional clay brick. Based at Ahmedabad, Gujarat, we at Eco Green Products Pvt. Ltd. Are poised to revolutionize and transform the conventional construction practices with innovative and effective Eco Green Autoclaved aerated concrete (AAC) Blocks. �Our vision is to bring our customers into 21st Century, through innovation and modern technology and leave a sustainable world for the future generations�. "We aim at becoming a leading manufacturer of AAC Blocks in Gujarat, and stay committed to offering a complete system backed up by skilled technical support and excellent customer service. We believe in delivering high quality and cost effective products which adds value to our customers. We act with integrity and respect. We are continuously driven towards the improvement of our environmental performance and thrive for a greener and more sustainable planet."